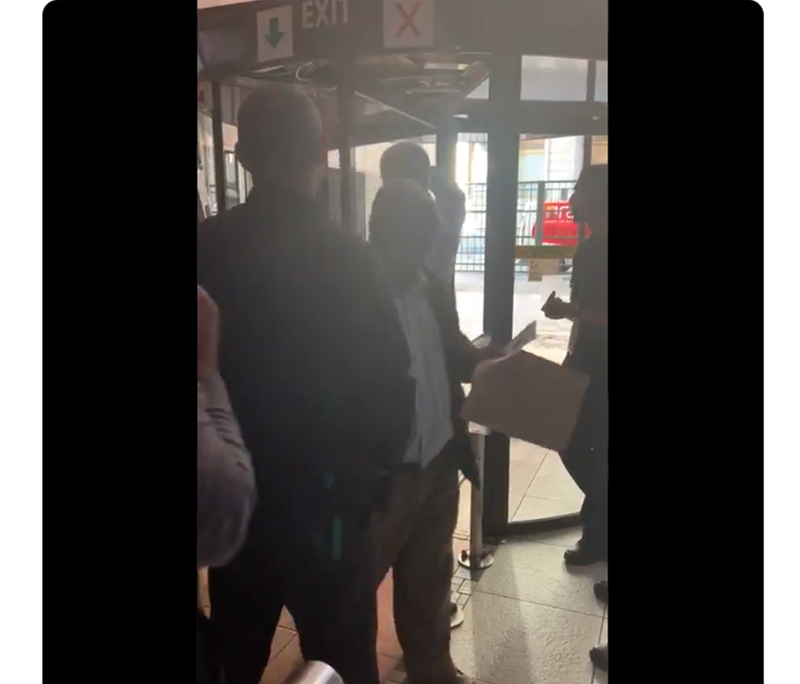 A man visiting the Parliament in Cape Town was caught in a revolving door with no way to escape when loadshedding struck the building. Loadshedding is, unfortunately, a part of our lives as South Africans. You need to plan when you cook and do your laundry, and if you have an automatic gate or garage door, you need to make a plan for getting in and out of your house when the power goes out. After so many years, most of us are able to get through blackouts without much consequence. But what happens when the one thing you did not prepare for happens? A visitor to the parliamentary precinct in Cape Town on Friday morning found himself in a tight situation when loadshedding struck just as he was stepping into an automatic revolving door. He found himself stuck inside with nowhere to go for 20 minutes, according to TimesLIVE. Fortunately, a staff member took pity on the man and offered him water. There is no need for him to be stuck in a small space and suffer from heat stroke all at once. The man was freed and quickly taken away by parliament staff before witnesses could ask him any questions. This is the second scheduled power cut at the precinct this week.